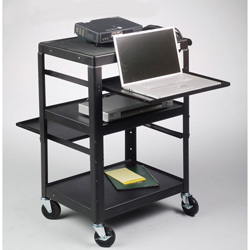 The Balt 89842 Adjustable Laptop Utility Projector Cart gives you Balt quality in a traditional form factor. All steel construction, in a scratch resistant black powder coat will match your existing equipment. Frame can be assembled from a preschool sitting height as low as 26" up to a bar height of 42" to meet your needs of a sitting or standing presentation environment. Includes a standard 4 outlet electrical assmbly with long, 25' power cord, all sitting on standard, large 4" casters, two locking. Avalible with a second retractable shelf (pictured). 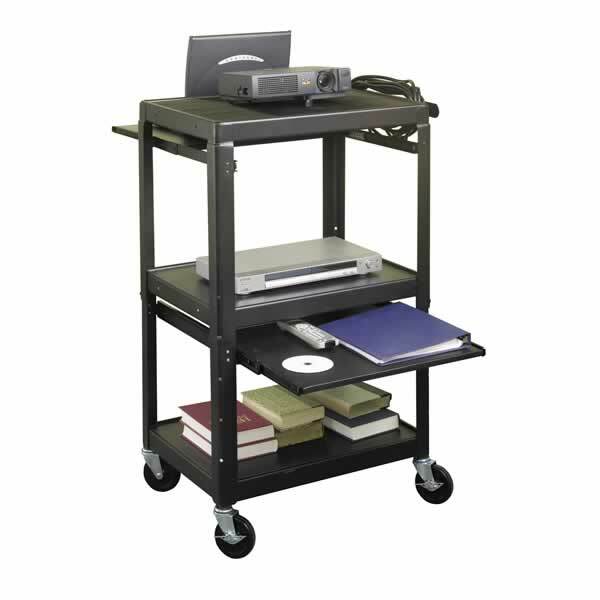 Adjustable projector cart height from 26" to 42"